Hello, readers! I have decided to take a break from the interviews this week to show you a trailer of an amazing documentary about the Khmer Rouge regime entitled Enemies of the People. The video of the trailer is located farther down; I hope it'll make you interested enough to watch the entire film. It's worth it. Trust me. The film is directed by Cambodian investigative journalist Thet Sambath. He has lost his own family in the genocide. The movie's website states that the film is Sambath's "journey to discover not how but why they died". Sambath has spent years earning the trust of the men and women who perpetrated the massacres. Eventually, he was able to gather and record testimonies from these killers, including Pol Pot's right-hand man, Nuon Chea (also known as Brother Number Two). 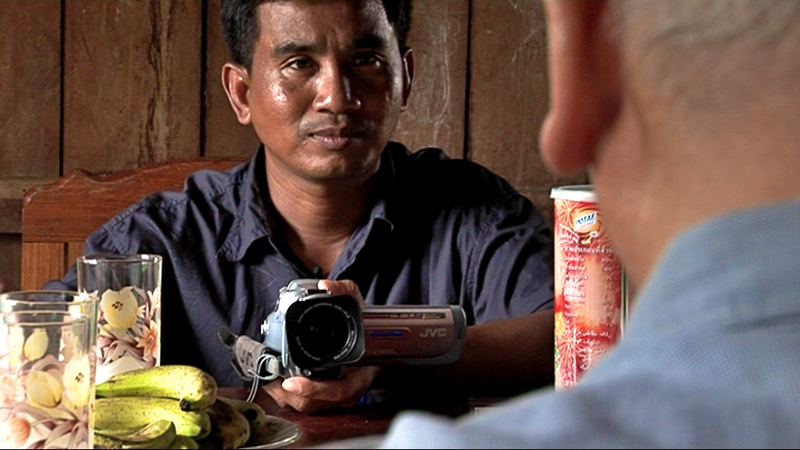 In this film, we get to hear about the Khmer Rouge regime from the perspective of a murderer. Labels: Thet Sambath, you totally stole my idea for an IPP.